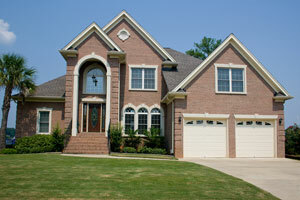 Are you thinking about installing foam insulation in your Greensboro, NC, home? Are you wondering if it is time to take the leap and invest in the last insulation project your home is ever likely to need? If so, you’re not alone. More and more homeowners are turning to spray foam because of its ability to provide exceptional energy efficiency and long-term money savings. Because this insulation is sprayed on as a liquid, it can access tiny nooks and crannies which allow your expensive conditioned air to leak out and allergen-filled outdoor air to seep in. You will enjoy lower energy bills and significant energy savings because of the reduction of air loss and air infiltration. Closing these tiny openings means you will enjoy improved indoor air quality that may reduce allergy and asthma attacks, and make breathing easier for people with respiratory ailments. Because foam insulation dries quickly into a solid substance, it provides a sound barrier between your indoor environment and the noisy world outside. Spray foam will never settle, sag, or degrade, which means that you will never have to worry about replacing the insulation in your home ever again. Additionally, polyurethane foam is not a biological product, which means that unlike traditional insulating materials, it is not a food source and you will never have to worry about mold, mildew, roaches, or termites in your insulation. To learn more about foam insulation in your Greensboro, North Carolina, home, trust the professionals at 31-W Insulation.